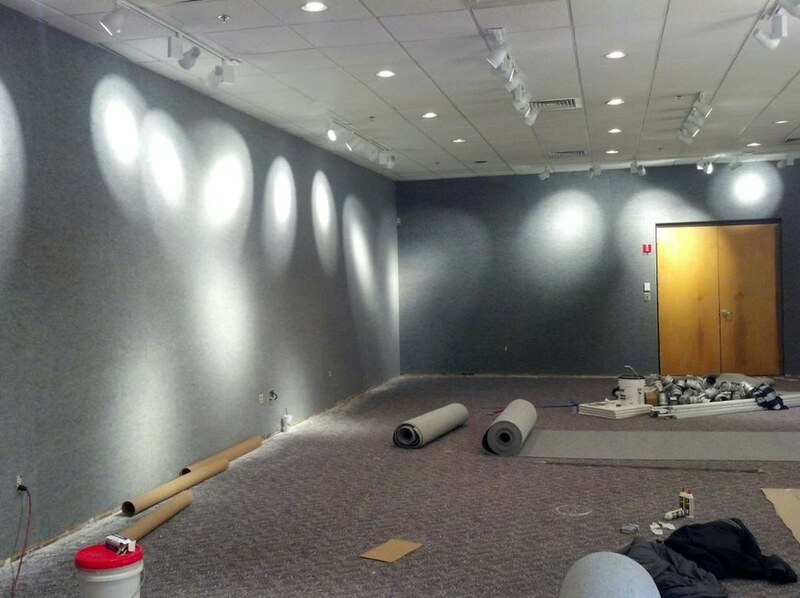 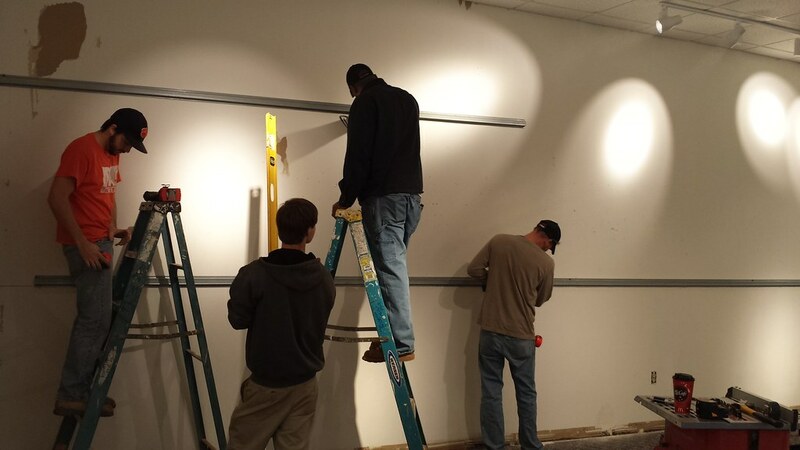 This project was completed over Christmas break at the Governor's School's Greenville Campus. 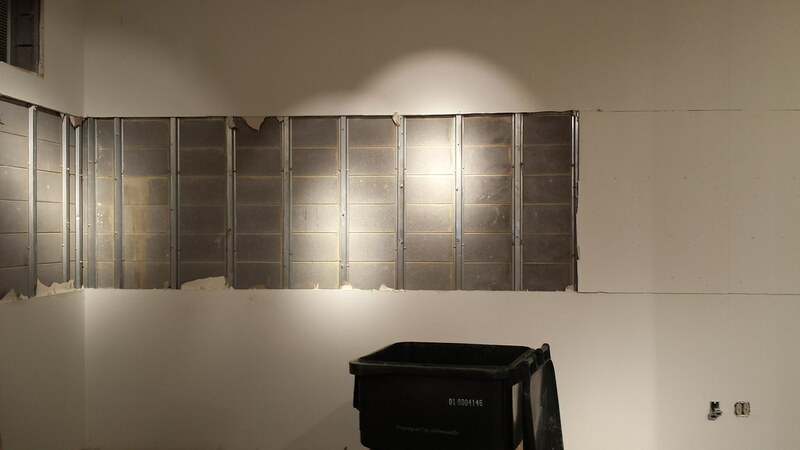 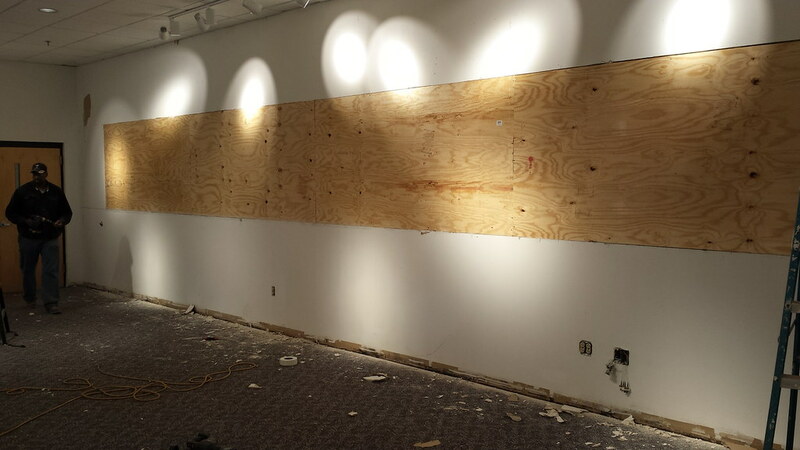 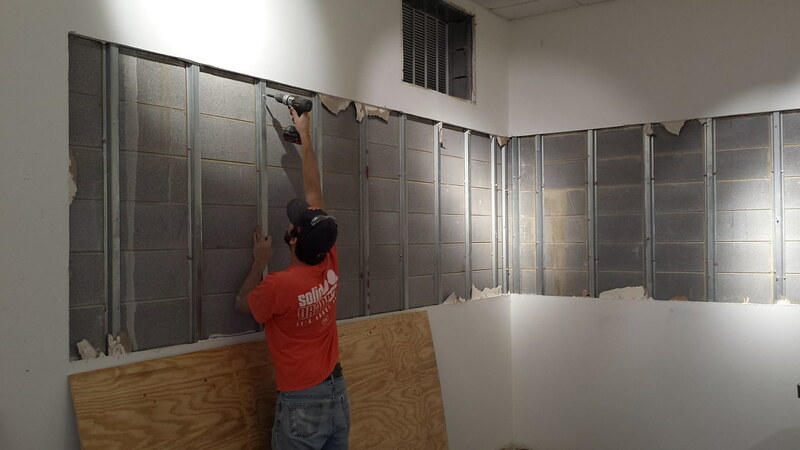 The scope of work was to remove the existing wall covering and install OSB boards in the wall system to provide support for art displays. 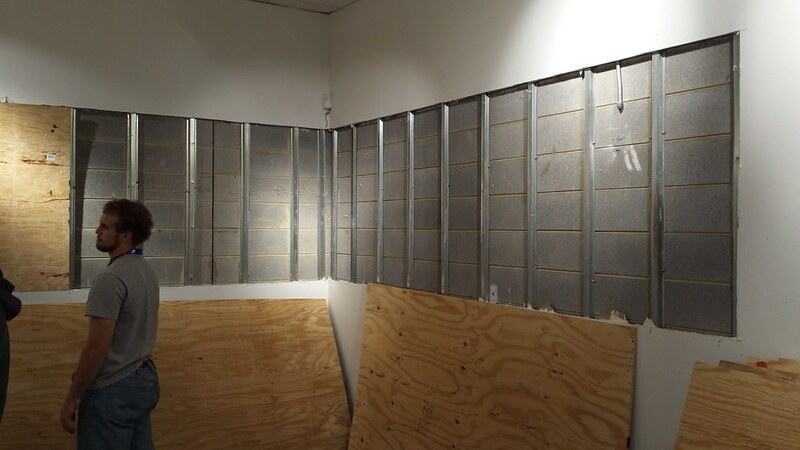 Once the walls were fitted with the wood supplemental support, the walls were to be covered with a wall covering as defined by the architect. 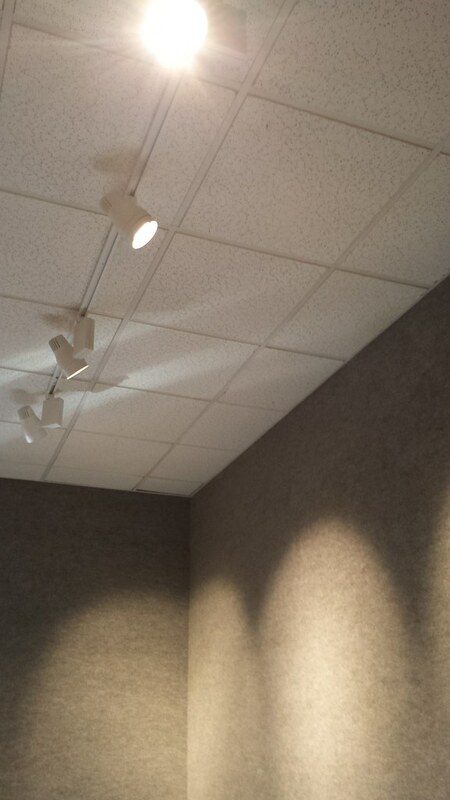 The existing lighting was an incandescet track lighting system that was demolished and replaced with a new LED track lighting system. 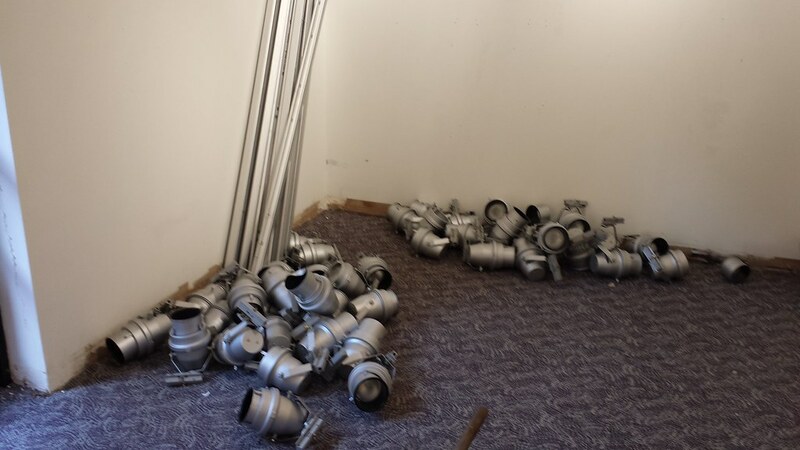 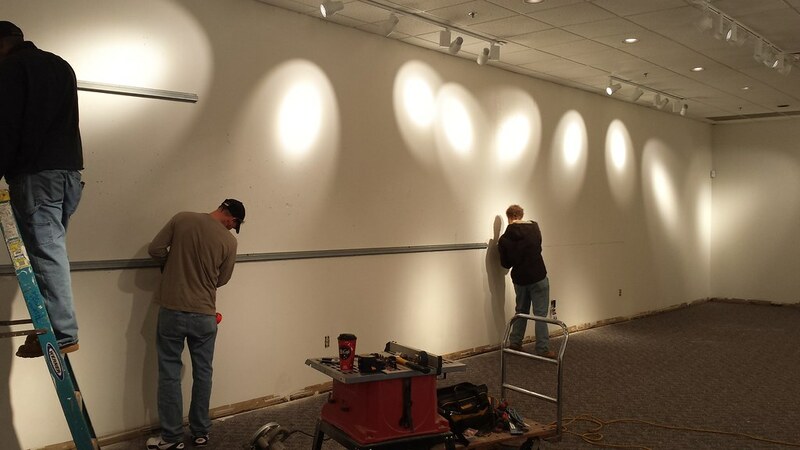 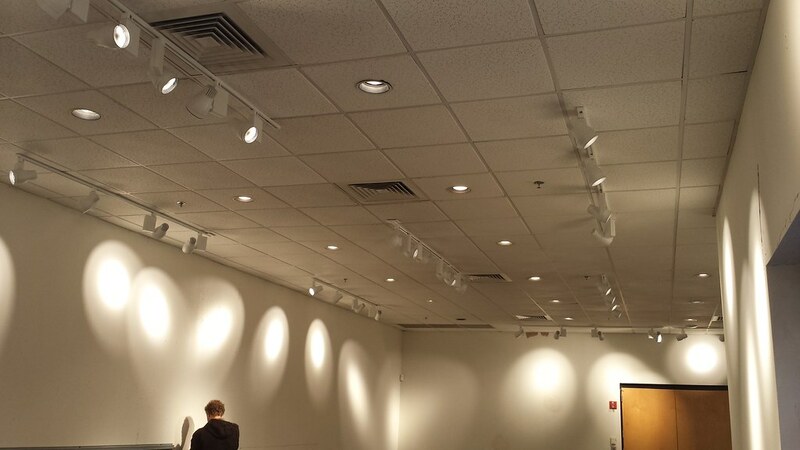 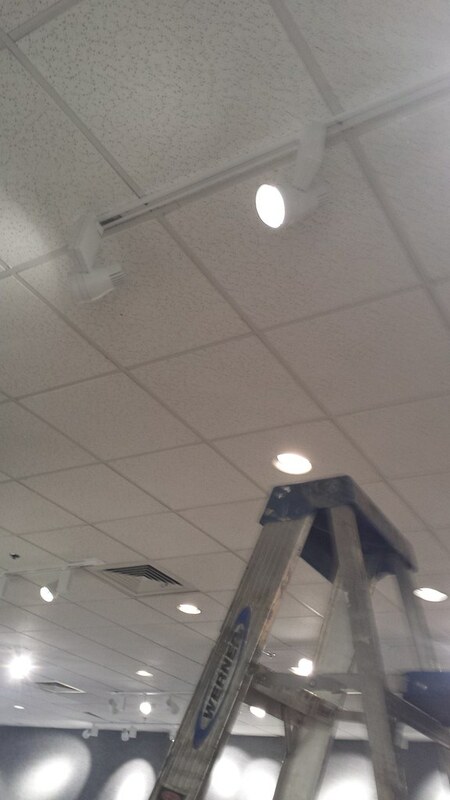 This project was scoped around replacing these lights with a new system that would allow for a significant reduction in power usage while maintaining the lighting necessary for art displays.